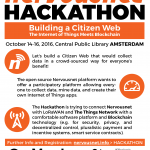 Let’s build a Citizen Web that would collect data in a crowd-sourced way for everyone’s benefit! 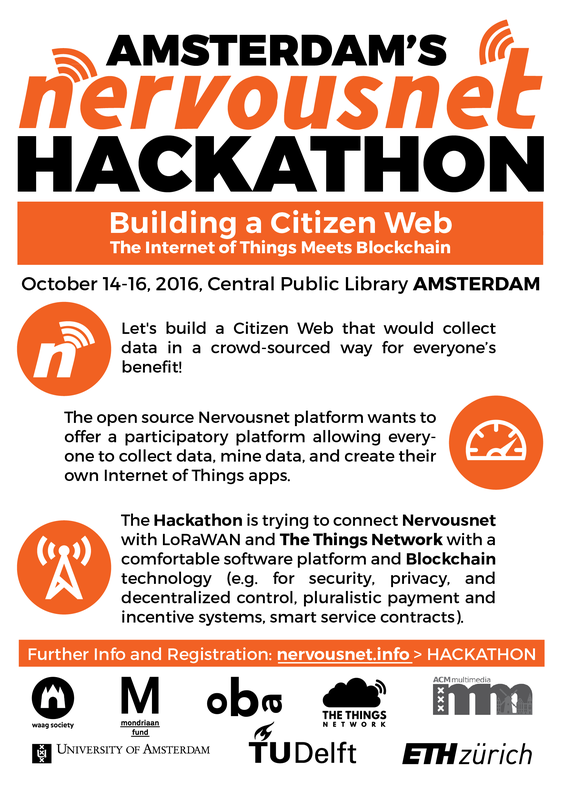 The open source Nervousnet platform wants to offer a participatory platform allowing everyone to collect data, mine data, and create their own Internet of Things apps. Take a look on the 1st Zurich hackathon which took place in April 2016. 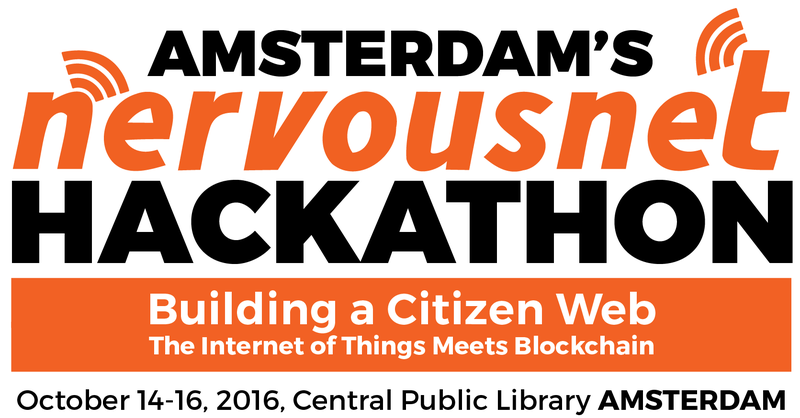 Join the Hackathon Facebook event! Waag Society, The Things Network, OBA Amsterdam, TU Delft, ETH Zurich (Professorship of COSS), ACM Multimedia confernce, University of Amsterdam (Informatics Institute), and the Mondriaan Fund. Download a PNG of the flyer (A5) by clicking on the picture bellow or download its PDF here. The A3 poster is available as a PDF – as well as a PNG in high print quality and lower internet quality. Certificates can be downloaded as well. Just a five-minute walk east of the Central Railway Station! How to get there: See the official website of OBA.